Throughout my adult life, I have thrived off talking with other people about feminism and other issues close to my heart. I love to debate and discuss; difference of opinion doesn’t mean dislike and it can often lead to some of the most enjoyable conversations I’ve had. Yet despite this, I do get those days where I don’t want to explain my standpoint to someone else. Sometimes I don’t want to explain the problematic implications of someone’s offhand comment. Sometimes, I just don’t have the energy. Arlie Hochschild first coined the term ‘emotional labour’ in 1983 to refer to the extra, often unpaid work that goes on in many roles involving adjusting your emotions to meet workplace expectations. Most common in the service industry, this could be something like having to smile and be polite to customers; it seems simple, but can often be very draining. It can also escalate, such as expectations to play peacemaker in the office or celebrate colleagues’ birthdays. The lot of these tasks often falls to women far more often than men statistically, likely due to the traditional stereotype of women being more emotional than men. Such expectations in the workplace may seem trivial on the face of it, yet psychologists widely agree that such emotional labour can have a real impact on people’s day to day energy levels and even their health. Now, over thirty years on from Hochschild’s original research, the term has also been incorporated into discussion of feminist activism. Whether working full-time towards gender equality or a casual feminist, being actively involved in discussions around social change takes on its own form of emotional labour. I personally find that the more I talk about issues I am passionate about, ranging from gender equality to animal rights, the more people come to me with questions. We become known as spokespersons for our chosen fights, and that’s great when we have the energy and time. But what happens when this role becomes more than we can handle? How do we avoid being assigned the role of the world’s educator? Taking on extra responsibility unpaid at work is an unnoticed problem that many people, especially women and minorities, struggle with. 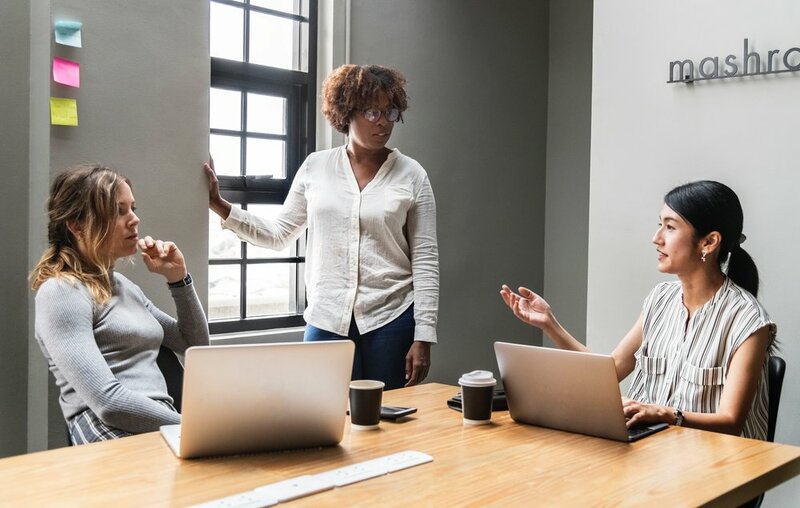 Women in positions of power are often pointed out as examples of gender workplace equality, yet they are often also expected to stand as examples and role models for younger women in that sector. The mere fact of being in the minority leads to extra emotional labour in being pushed into the role of spokesperson, whether you want to or not. Monitoring your own role within your job or studies is a key part of making sure you don’t take on too much. While it is important to boost other women and push for equality in every sector, think about how much you are doing outside of your standard job description. Did you volunteer for these tasks? Are people even noticing you’re doing them? Do you actively want to do them? If the answers are no, you are well within rights to make changes that better suit your priorities. Being a female in an environment full of men is difficult. Yet something a lot of white women forget is the double difficulty of being a minority female on top of that. Emotional fatigue is far more common in women of colour, disabled women, or LGBT+ women. In the same way that females are often automatically translated into spokespeople for the entire gender, minority women are often expected to speak about issues relating to their minority, such as racial bias or sexuality. Simply belonging to a group does not mean you have to be the world’s authority and regulator on how that group is treated. If you are a women with privilege, try and use that privilege to alleviate the emotional labour of minorities. Back them up in rooms where they are outnumbered, or work harder to get them into those rooms in the first place. If they often seem to be selected to do extra roles outside of their job, such as frequent client-facing roles or social building within a team, suggest to take it on yourself or share it out between other people. If you a minority person yourself, know that your identity does not require you to share or educate other people on your experiences, unless you choose to do that yourself. When it comes to discussing and spreading awareness on gender equality and feminist issues, knowing your audience is key. You can argue with someone all day long, but might not get anywhere. Such discussions can be disheartening and discourage people from entering into them at all. It’s important then to have varying goals for the situation you’re in; some people might be looking to hone their intersectional knowledge on some complex issues, others might have never really considered gender equality at length. If you’re consciously attempting to introduce change into an environment, give some thought to what you want to achieve. This will help you avoid wasting time and effort in areas that aren’t ready for it and enable you to dedicate your energy to places where it will be most effective. This quote from my favourite film, Pride, has stuck with me over the years. The original line is from a miners’ union head, giving advice to a young LGBT activist, yet the sentiment rings true in so many different walks of life. I would consider myself an active feminist, yet everybody needs some time to kick back and let their brain breathe a little. Simply existing as a minority in this world can be exhausting, yet it should be enjoyable as well. Don’t let pressure to make change around the world push you to spend all your time 24/7 on it. At the end of the day, feminism is about creating a world good for everybody to live in. Make sure you spend some time simply living in it.